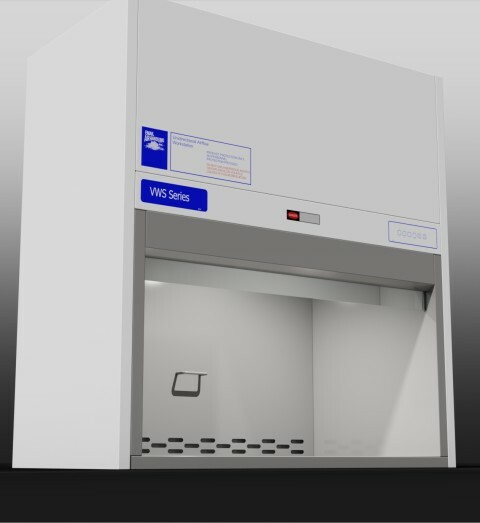 VWS (Verticalflow) Series cabinets are designed to provide a high degree of protection for process products and apparatus in laboratory and production facilities. 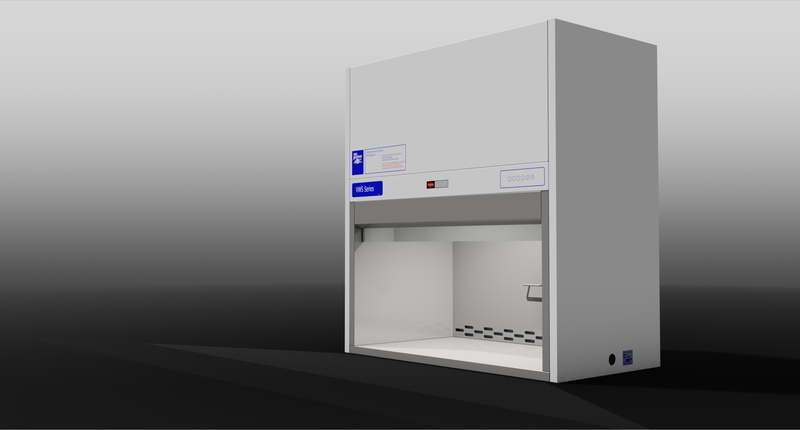 Many critical applications in the medical, pharmaceutical, scientific and electronics fields demand an ultra-clean work environment that is free from biological and particulate contamination. 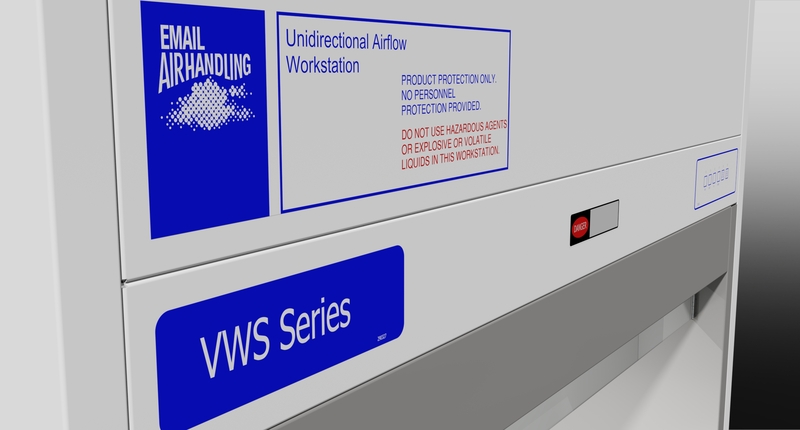 VWS Series cabinets are intended for work with non-hazardous materials in such applications. 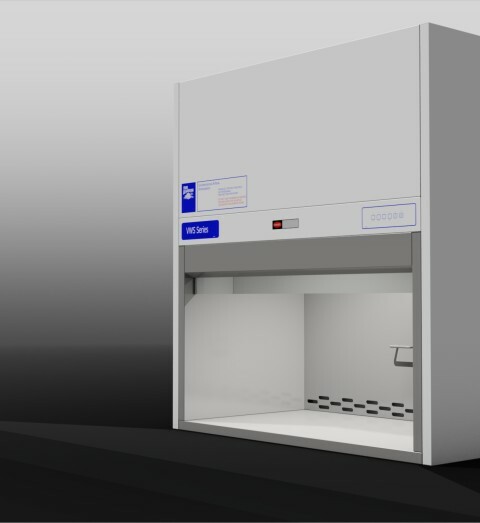 A portion of the laminar flow air recirculates to the top plenum to give better airflow control and minimise turbulence in the work area. This also increases the HEPA filter service life. 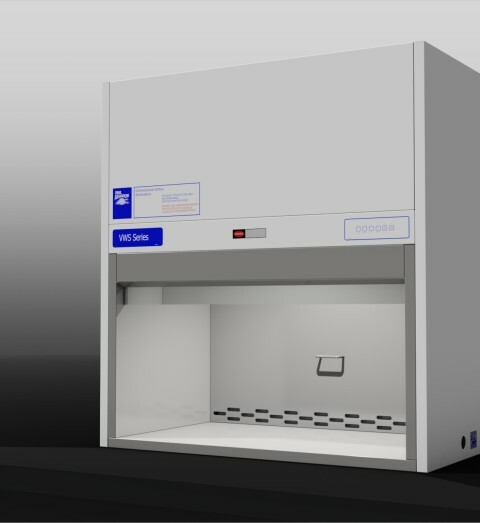 The housing is constructed of locally sourced steel and consists of a highquality powdercoated finish to provide a suitably solvent, alkali and acid resistant laboratory grade coating. The work area is fully constructed from stainless steel, with inward folds to avoid sharp edges. 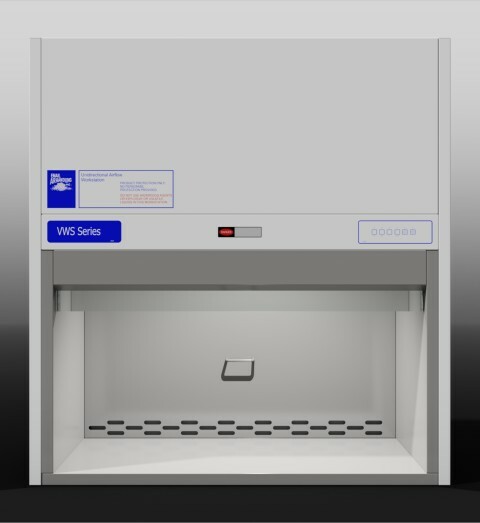 A removable, washable metal screen protects the HEPA filter from mechanical damage. A direct-drive fan is regulated by a speed controller to enable airflow to be maintained through filter life. 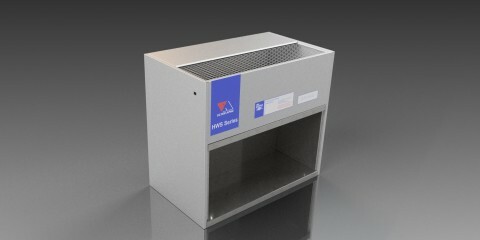 Fans and filter plenums are designed to provide quiet operation and low vibration level. Clyde-Apac® Microseal™ HEPA filters, are manufactured to AS 4260. Each filter is individually tested to be leak-free in accordance with AS 1807.6. A manufacturer endorsed test label fitted with an extract of the test report is affixed to each filter. A prefilter extends the life of the exhaust HEPA filter and protects it from the mechanical damage during cleaning of the work zone. An easily-accessed, washable pre-filter arrests not less than 90% of particles 5 micron and larger, thus prolonging HEPA filter life. 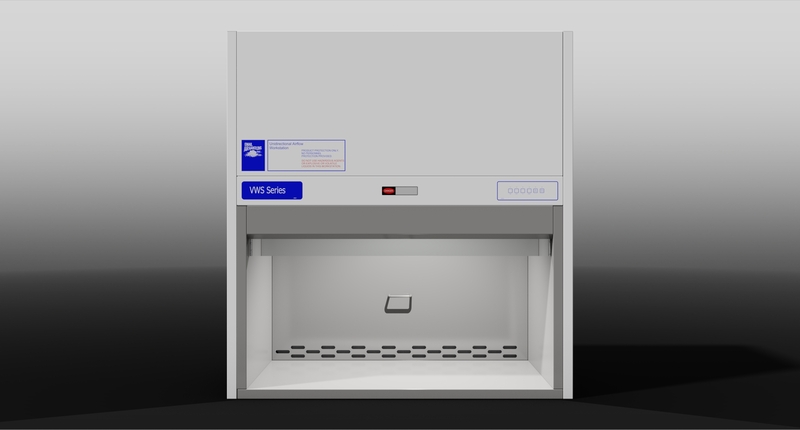 A warning light in the control panel signals the need for pre-filter service. 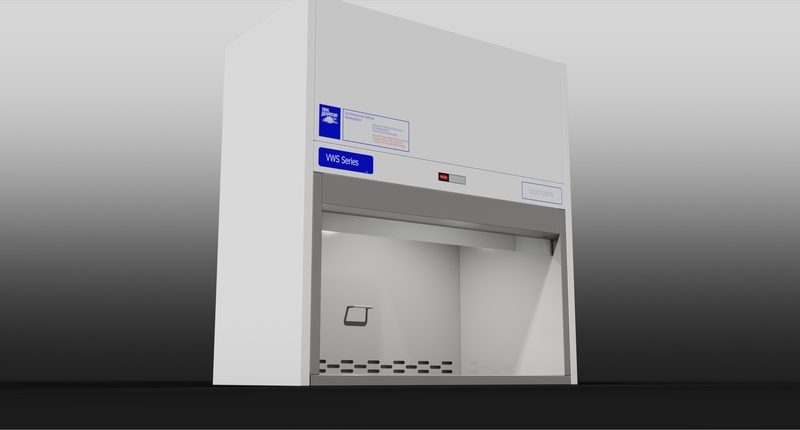 A low voltage touch control panel is located on the front of the cabinet. Glare-free lamps provide a minimum lighting intensity of min 650 lux at the work floor. 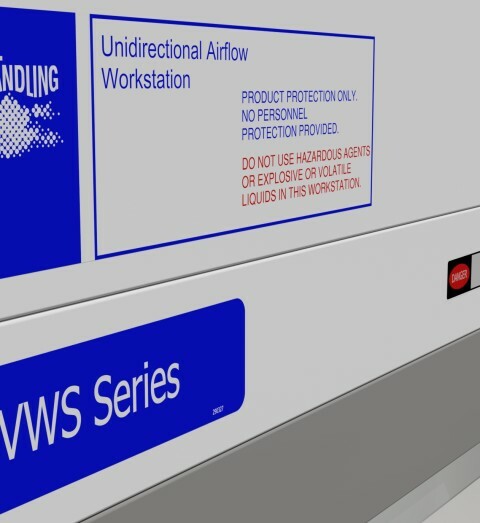 HWS cabinets provide protection for products or experiments, but do not protect personnel from aerosols of hazardous materials that may be handled in the cabinet. 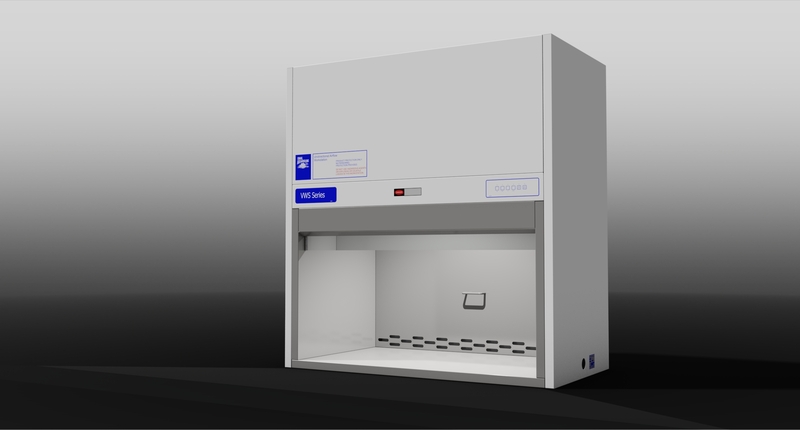 For applications where personnel and environmental protection is required, Clyde- Apac Class I or Class II biological safety cabinets, or cytotoxic drug safety cabinets (as applicable) should be considered. In special circumstances, e.g. if faulty operation is suspected. AES Environmental maintains an ISO 9001:2008 quality management system to ensure process and product conformance.